Fae folk may not be as big as lions or tigers or bears, but they can be just as dangerous. Particularly to my bank account. There's no place like the Fantasy Artists of Etsy exhibition to find enchanting gifts. EDIT: Fairies, Elves & Pixies, Oh My! 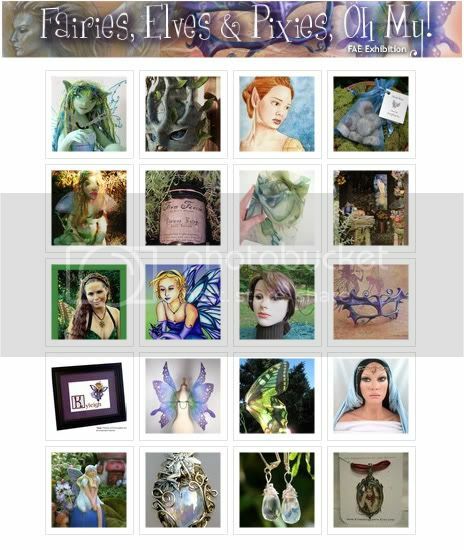 has been replaced by another exhibition, but click on the screenshot below to view all the FAE items currently for sale that are tagged with the word "fairy." There is definitely some gorgeous items available. Lovely treasury. The masks look really fun and fantastical! ever enchanting exhibitions by the fae team! The art dolls are so beautiful, I'm inspired!